A true shopper’s paradise! Central World Plaza is an 8 story tall mall featuring 500 shops to shop from and about hundred restaurants serving uber delicious food. There is also a huge bookstore here. The variety of restaurants here are commendable. Central World Plaza also has a cinema hall at the top. 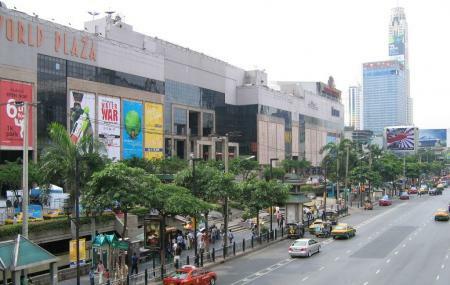 This mall definitely wouldn’t disappoint you and hence deserves a visit when in Bangkok. How popular is Central World Plaza? People normally club together Jim Thompson House and Terminal 21 while planning their visit to Central World Plaza. People also prefer to end their day with Central World Plaza.